Ever wondered about that chic European decor on Pinterest that transports you to the Victorian era? Well, if you have always fancied a living room radiating sophistication, and been intrigued by the British way of living, there is an exclusive way to add grace to your house. The Humble Tree is a Gurgaon-based firm specialising in handcrafted furniture by seasoned craftsmen. With its unique approach, it features classic leather furniture hybridised with antique designs to amalgamate elegance with modernity. If you look at the products, you will know what it's worth. Fine quality leather is never out of style. Leather furniture has been popping up in home decor blogs and magazines for the last decades, some genuinely classic and others re-imagined in mid-century or more modern styles. A leather furniture speaks class. It's not only highly comfortable, stylish but it gives a room personality. History notwithstanding, Chesterfield sofas have remained forever the epitome of luxury, class and style. Nowhere will you find a more recognised, timeless example of furniture. Here at Humble Tree, fused with the antique killum, these incredible pieces of furniture seem antiquated yet rugged. Their fine finish is not only stellar but it makes each product a piece of art in its true sense. 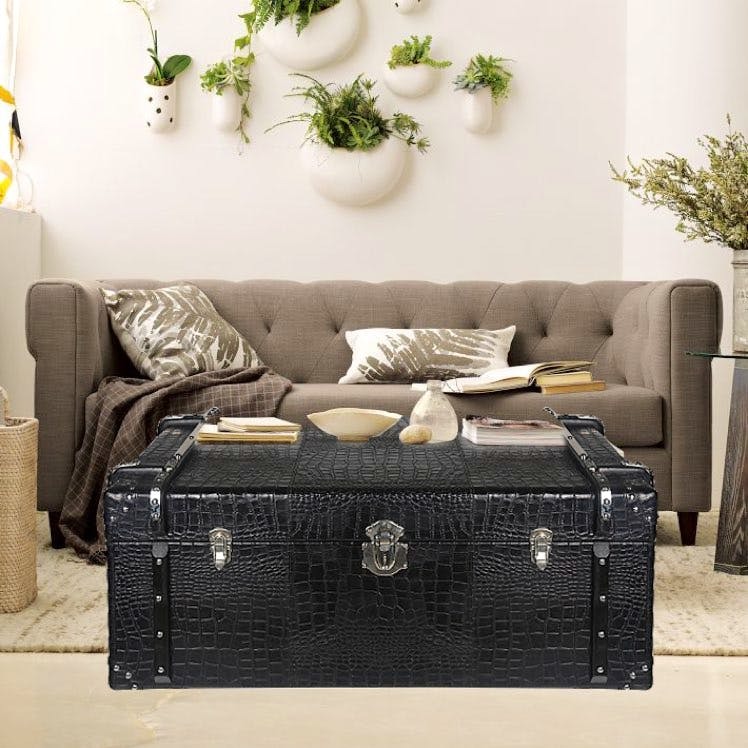 From timeless ottomans to dramatic croco leather exterior bars, it's a one-stop shop for très chic decor. They offer versatile handcrafted furniture- for storage and for making a bold style statement. Each piece with its refined structure and luxurious comfort will not only entice the home, but it also exhibits quality and craftsmanship. Their products are timeless pieces as the leather furniture is sure to remain in demand for centuries to come. What was old is new again. Adopted by antique enthusiasts looking for a retro look the vintage icon is reborn in a wide range of editions: classic, limited, reviewed and customised: featuring leather.